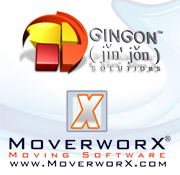 MoverworX Software is an advanced, hi-tech development company providing a full Moving company, Freight/deliveries company, International Moving company and Storage company Sales, Operations, Management and Marketing Software system. MoverworX is designed to streamline your process and increase revenue. Sales, Marketing, Dispatching, Payroll, Accounting, DOT Compliance, Security, Record Keeping, Scheduling and Logistics, Business Consistency and Cohesion with integration of Interstate Tariff, Bulk E-mails, Unlimited Templates, Custom Item List, Bar Codes, Dispatching, Reports, Onsite Estimates.